Happy memories: Belinda with her mother, Brenda. When Rev. Tom Davis first met Brenda last April, she was sitting in the day room of Signature HealthCARE of Memphis, mute and unresponsive. 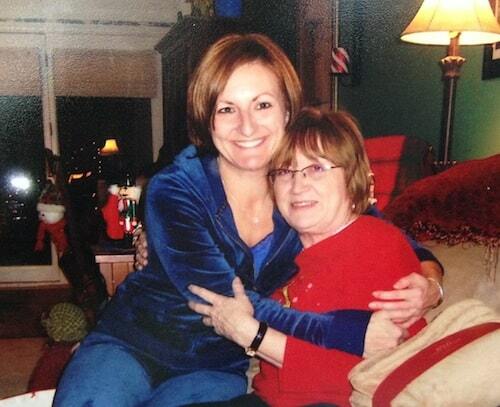 Once a vibrant, independent woman who enjoyed traveling abroad, she was now trapped in her dementia, unable to walk and completely withdrawn from the world around her—including her daughter, Belinda. Belinda had sought help at Signature in 2012, as Brenda’s illness had worsened, along with her anger and resistance to care. But Brenda’s resulting remoteness had become a barrier to their relationship, fortified by Belinda’s guilt over having to place her mother in a nursing home. For Rev. Davis, who serves as Chaplain and Spiritual Director at the 140-bed skilled nursing facility, Brenda seemed the perfect candidate for their new MUSIC & MEMORY® program. Then came a word. Rev. Davis was sitting with Brenda in the day room, listening together to the Eagle’s Hotel California. She turned to him and said, “California.” Both he and the day nurse, who overheard, were stunned. “We thought she was non-verbal,” he recalls. Other tunes prompted reactions. Brenda giggled whenever she heard Bobby Daren sing Splish, Splash, I Was Taking a Bath. And when she listened to Blueberry Hill, she began to mouth the words. As Brenda’s responsiveness improved, a speech therapist worked with her, cueing her on words like ‘bird’ and ‘flower.’ When she would repeat names, the therapist said it was a way of practicing, trying to say the words again and again. Rev. Davis called Belinda to tell her what happened and persuaded her to come and see for herself. Visits with her mother were always difficult and uncomfortable, because Belinda was never sure if her mother was upset with her for placing her in a nursing home. With some apprehension, she agreed to come with her boyfriend on a Saturday. He encouraged her to sing and to hold her mother’s hand. But Belinda was afraid of hurting her, because Brenda’s hands were frozen into a fist. So he gave Belinda some lotion to rub into her mother’s skin. The miracles continued to unfold. A visitor joined them in the chapel, a cousin who had traveled three hours to get there. As he leaned in to Brenda and reminded her of his name, she repeated it, and then spoke his wife’s name, too. “She was putting things together in her mind,” says Rev. Davis.